There’s one foolproof way to make the perfect homemade playdough. If you’re in a hurry, here’s the simple recipe. Mix all ingredients together in a pot or pan. Turn the stove on medium heat and stir until it has a playdough consistency. Once lukewarm, knead it to get the right texture. My son likes to help with this process as playing with warm playdough is quite a novel thing for him to do. And here’s a video from our Youtube channel when we made this playdough at home. 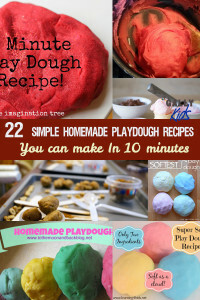 Looking for more playdough recipes? As you probably already know, the simple playdough recipe outlined above is not good enough for many of us. It is simple, but it has three potential problems. First, they’re not edible. Why settle for boring old playdough when we can make ones that kids can eat too! Well, thanks to the imagination and artistry of many mums around the world we now have the elixir for some of the best “eatable” playdoughs. Think peanut butter playdough, pumpkin or chocolate. Before you know it, we’ll be ordering playdough snacks in our local specialty restaurants soon! :-). These recipes are fun to make with kids as part of an arts and crafts project. Another problem is that it needs cream of tartar. It’s not one that’s readily available in many of our cupboards. Come to think of it I have only ever used it for making playdough. Thirdly, there’s cooking involved. That just adds to the workload right? We busy parents can always do with a recipe that takes much less time to make. 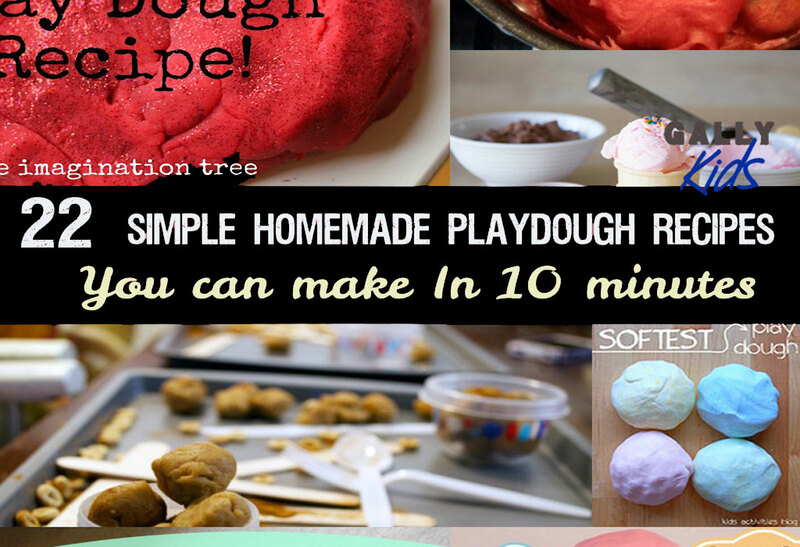 So for all of you who want a little bit of variety in your playdough making routine, here are some of the best play dough recipe ideas from the interwebs. Some of these recipes are so easy that even kids can do them with supervision. She says that this particular no cook playdough recipe is the best one she’s made and it even lasts for 6 months. From what I’ve seen from this recipe and many other no-cook playdough recipes, it’s important that you use boiling/hot water. 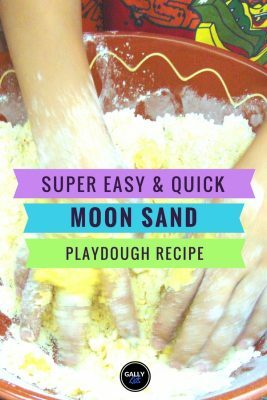 This playdough recipe by PBS Parents vastly veers from the classic recipe by using a lot less water in comparison to the amount of flour used and uses oil as the secret ingredient for the playdough consistency. And there’s glitter involved. Rachel from Kids Activities Blog has this soft and silky play dough. Now prepare for this as it’s a completely different ingredient from what you’re used to – a combination of hair conditioner and corn starch. Who knew huh? We live in a small village in Spain and it’s not easy to find tartar powder. If you’re in the same boat as we are, no need to worry. 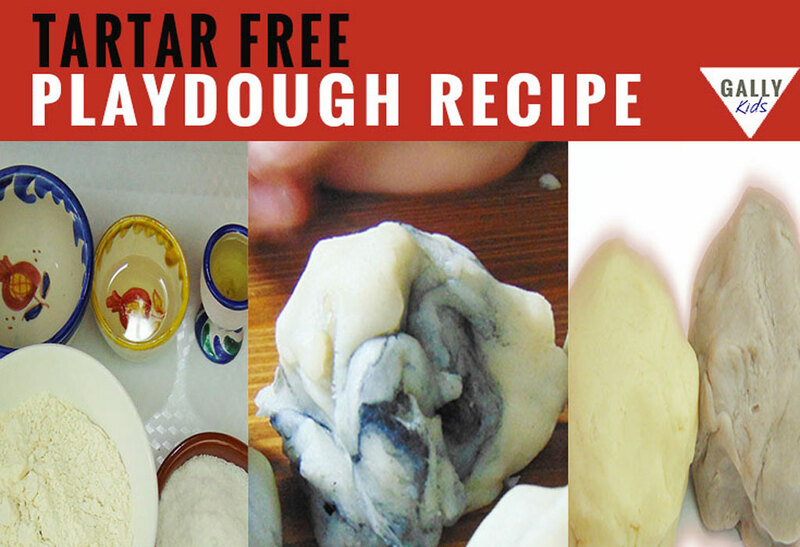 Here’s our tartar-free play dough recipe that you can easily make at home. This playdough came out very soft, smooth and pliable. We loved it. Can you guess what our secret ingredient is? Click here to get the full recipe. Jello playdough is great especially when you don’t have food colouring. With differently flavoured jellos, you can easily have different coloured play doughs too. They smell nice and make a slightly stickier version than the commercial ones. This is one of those times when you can’t say to your kid, “Don’t play with your food!”. 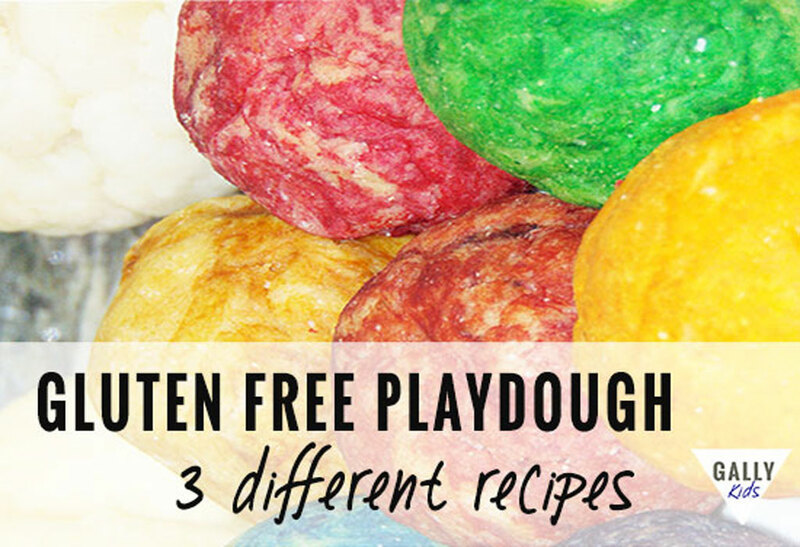 You’d be surprised to know that there are many different recipes for playdough that are edible(ish). These eatable doughs are especially handy for very young children who like to put everything in their mouth. These “concoctions” won’t feel the same as the real deal but children will still be able to use them as a modeling material or as a sensory toy. And obviously, they won’t last as long as the playdough listed above. Word Of Caution: Many of the so-called “edible” playdough recipes online simply means that it’s made of food ingredients and does not contain toxic chemicals. But do know however that some of these recipes still contain a lot of salt which could potentially be fatal to small dogs and babies when taken in large amounts. 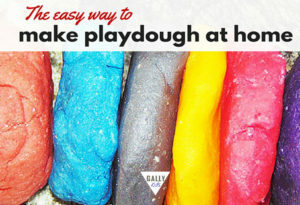 For More info on this, scroll down for our Tips on DIY playdough making. Just how cool is this? Many of the recipes include 2 main ingredients which are frosting and sugar. This Smart Schoolhouse recipe needs only 2 ingredients and it’s ready for playing and eating. Ice Cream Dough on Modern Parents Messy Kids adds coconut oil and done in a mixer. Easy and tasty. This is one of the more popular edible playdoughs with a few different variations. A moldable, creamy peanut butter playdough without powdered milk. No cooking involved. If you’re looking for a recipe that uses powdered milk, watch the video below. A chocolate flavoured one so we could all finally take bites of it. There are many pumpkin playdough recipes but I have yet to find one that’s yummy edible and behaves exactly like playdough (well, many do use real pumpkin so who are we kidding eh?). This recipe from Sabrina of Sow Sprout Play looks promising. Another thing to remember with the pumpkin playdough is that it can get sticky so don’t expect a lot of successful roller pinning with it… Tbh, just because it’s made of pumpkin doesn’t mean it’s delicious. It’s hard enough to find marshmallow in our small town here in Spain. So you can imagine that Peeps marshmallows are virtually non-existent here (I had to google it). I would think that in the absence of Peeps, any marshmallow will do with the recipes below. Jaime from Frogs and Snails and Puppy Dogtails most unique recipe I’ve seen on marshmallows. This uses marshmallow and peanut butter. 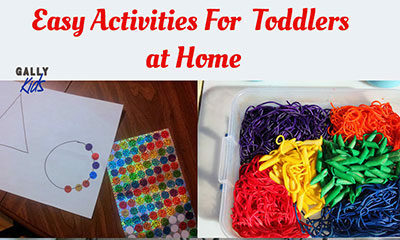 Starts messy which kids should love and then hardens itself into a more workable material. Probably one of the few so-called “edible” playdoughs that’s REALLY edible. Definitely worth a try. I don’t just love this recipe by Paris at My Big Fat Happy Life because it’s easy to follow but also because it’s got a picture of one of our favourite tv show ever, the Octonauts. Like many recipes, the main ingredients are marshmallow and corn starch. One of the comments on Youtube wrote that nowadays it seems that Koolaid is used for a hundred different things except making it a juice to drink. Do you agree? Anyway, check out the video below for instructions on Koolaid playdough. Here’s Mama Papa Bubba for the no-cook version. 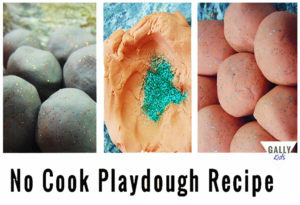 Cathy James from Nurture store has a playdough recipe akin to breadmaking. You’ll need bread flour and even yeast if you’ve got it. Children can create whatever they want, practice their creativity, exercise their fine motors and then bang the dough in the oven and you’ve got yourselves lunch :-). The perfect way to hit two birds with one stone. No one can resist this Nutella playdough. It’s got only 2 ingredients, it’s very easy to make and it’s edible too. Prepare for the sugar rush. If you have kids who are allergic to gluten then use rice flour, gluten free flour or chickpea flour. We’ve tried this at home and we had fun doing it. We tried it with chickpeak flour, rice flour and gluten free flour – which all turned out into different consistencies. We even tried making one using a slow cooker – a longer process it was but worth the little experiment. mainly rice flour and corn starch. 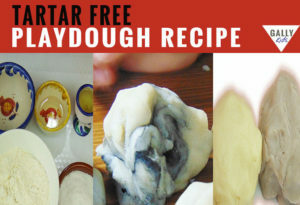 You can make playdough without using cream of tartar. But don’t expect it to look and feel EXACTLY like commercial playdough. You’ll find though that most kids won’t know the difference. Coloring: The amount of coloring depends on the type you use. You will need loads if you’re using liquid-based colours but significantly less if you’re using gel-based food colouring. Alternatively, you can go all natural by using colors that you can make from your pantry from things like turmeric, chocolate powder, ground coffee, spinach, beets or red cabbage. Shelf Life: This depends on the ingredients you use, how you store it, and how clean the hands are that handle it. Edible playdough is good for a day or two while some cooked playdough under the optimal environment (clean hands, airtight container, fridge, lots of salt as above) can last for months. The general rule between flour and water ratio is 1:1. However, this depends on your location too. You may have to vary the ingredients depending on how humid your place is. Just remember if it’s too dry, slowly add more water. Too wet, slowly add more flour. Keyword – slowly. Don’t forget to knead. Knead. Knead. Many failed dough disasters just needed a little bit more kneading to get the texture you want. Slowly pour in the water to get the desired consistency. Don’t just put the whole cup in. Mix all dry ingredients well before adding water. When cooling the dough, spread it out to get it to cool down quicker. Oil – The oil in playdough helps lubricate the flour. I have used both sunflower and olive oil. I’ve read that you can also use coconut oil or baby oil. I should think that any oil will do. It’s too crumbly. Add more water. Do this drop by drop until you get the consistency you want. It’s sticky. It’s most likely because it needs a lot more kneading. If that doesn’t work, add more flour. Again, add it little by little and don’t just dump a cup full of the mixture. Salt Warning: there has been a recent warning made on homemade playdough. As reported on the BBC, the classic recipe usually has salt that can be toxic to small children and pets. There have been no known children fatalities but parents should exercise caution and make sure that they watch their kids when playing with the dough. If the warning above worries you, you can make some of the no salt playdough but they won’t last as long. As you can see, you are only limited by your imagination when it comes to homemade playdough recipes. Which one is your favorite? Which one have you tried¿ Do share your family’s creation with us using the comment section below.